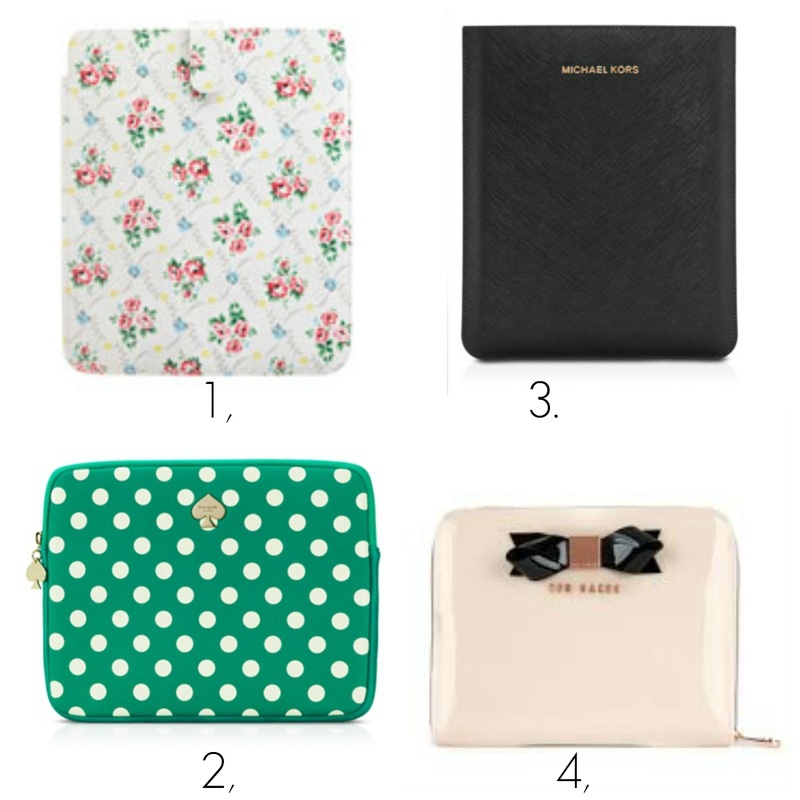 Coleoftheball: Wednesday wishlist - Ipad cases. 1. Cath Kidston king street rose Ipad sleeve £30.00 How cute is this! I love anything Cath Kidston and they've got some gorgeous prints at the moment. 2. Kate spade green spotty zipper case £39.95 Oh my this is just so pretty I love the colour and if you haven't managed to work it out I love anything with a spotty print! 3. Micheal kors black leather sleeve £59.95 This may be the most ridiculous price for an Ipad case but it is beautiful (is that a good enough excuse to buy it) I love the little bit of rose gold its just so pretty. 4. Ted Baker light pink bow tablet case £39.00 Me and my auntie are so obsessed over these they are so sophisticated and grown up, I just love it! So that's it I hope you enjoyed reading me ramble about Ipad cases. These are all so lovely! Love that Cath Kidston one! Love the Ted Baker ipad case. These are all so freaking cute!